International Face of the Day feat. 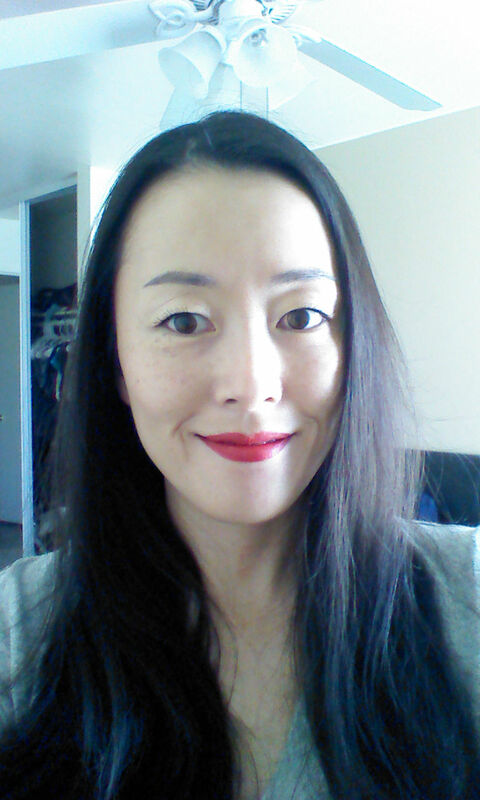 Japanese mascara, Korean BB cream, and US everything else. Well! Finally managed to take a few selfies that don’t make me cringe and want to live in a cave forever, so here’s my first FOTD. Pictures taken in indirect natural light, a few feet away from the bedroom window at midday. Product list and tools below! If you see any mess in the background, please ignore it. I haven’t picked up for a couple of days. You know how long it took me to learn how to get my brows to be okay? YEARS. 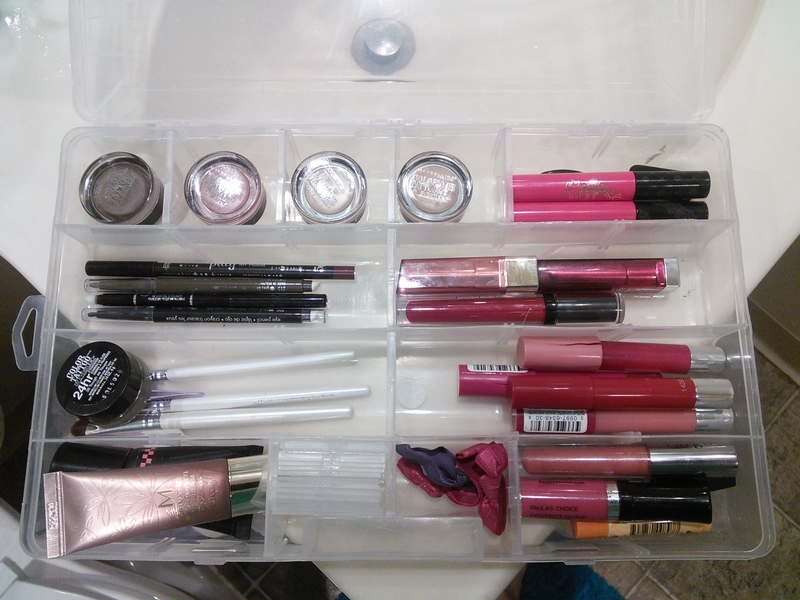 And here are bonus pics of how I organize my makeup and tools. I got this organizer at the Harbor Freight tool store in my neighborhood. 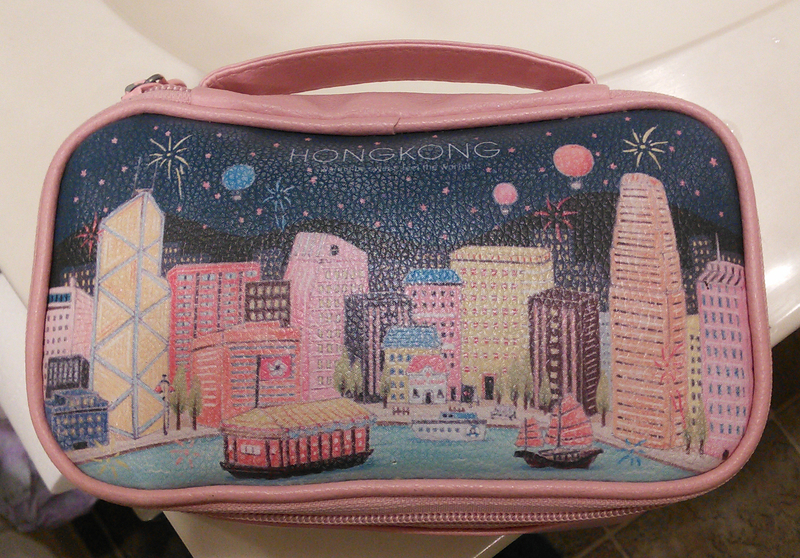 The few things I have that don’t fit into the Harbor Freight case go in this old Etude House bag. 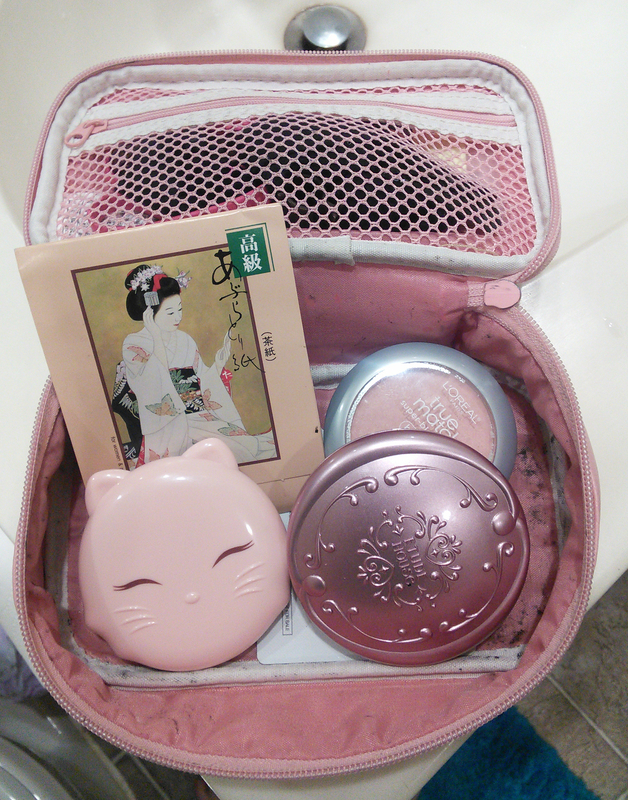 Japanese blotting papers, my blush, the embarrassingly girly Etude House Secret Beam powder pact, and the adorable Tony Moly Cat’s Wink powder pact. Over the last six months or so, I’ve learned what a difference quality tools makes. 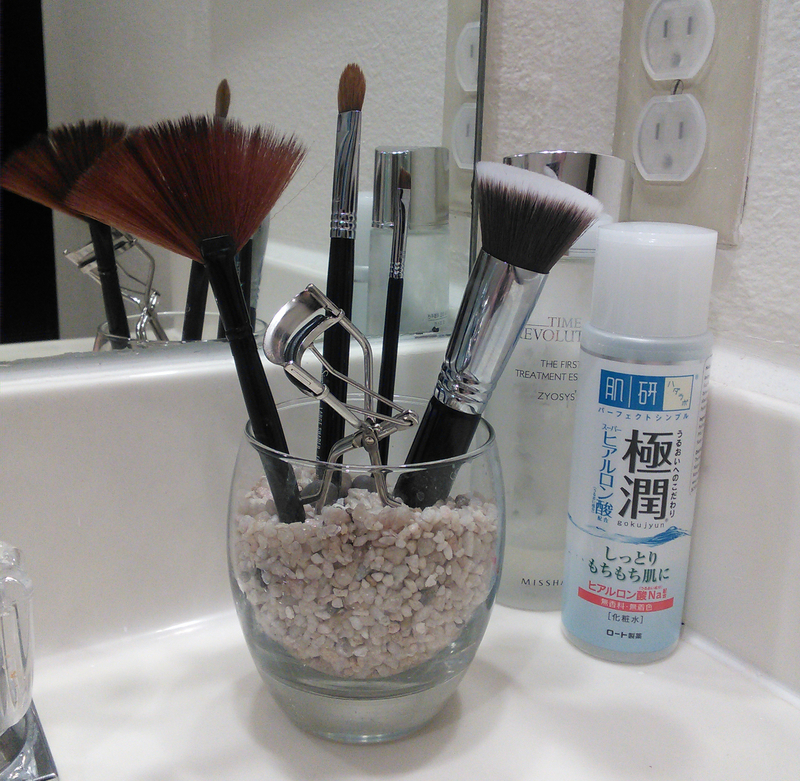 The Shu Uemura eyelash curler and Sigma brushes are my ride or die. 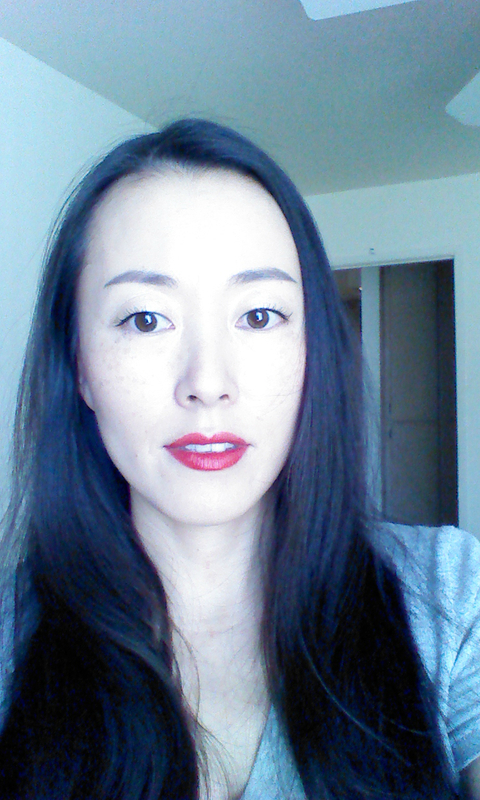 I used to be really indifferent to makeup. 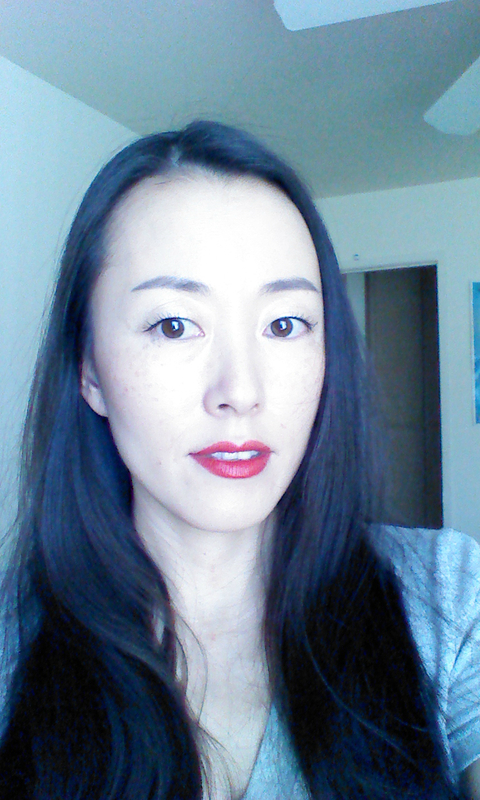 I’d just use whatever I found at the drugstore, and never really bothered to learn how to improve my application. Lately, however, I’ve really enjoyed trying new things and being braver with color. And the brushes. The brushes are great! What are your favorite makeup items right now? Aw your Etude makeup pouch is mega cute! I still like it a lot! I do wish they had made a Taipei one, though. Love the look – you look positively glowing! And Ms. Chanandaler Bong forever.